How Dangerous Is Lead in Slow Cookers and Dishes? Is Cooking With Galvanized Aluminum Healthy? 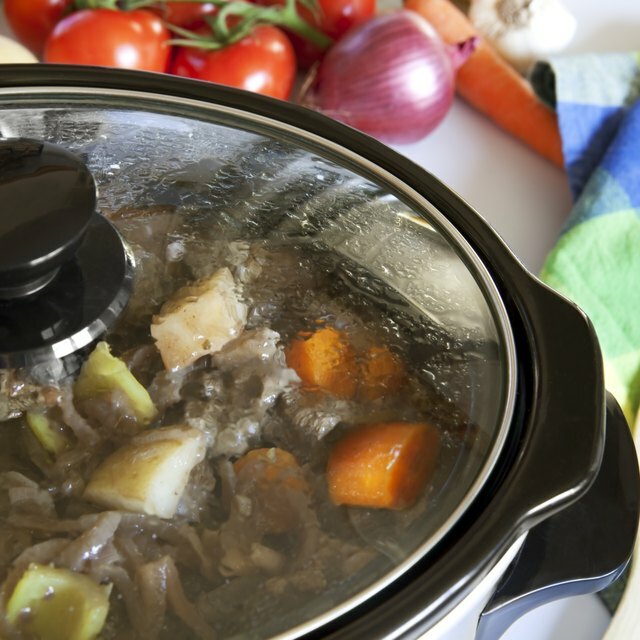 1 How Dangerous Is Lead in Slow Cookers and Dishes? 3 Is Cooking With Galvanized Aluminum Healthy? Different cooks want different styles of cookware. Some people swear by cast iron while others want something a bit lighter, such as anodized aluminum or non-stick, Teflon-coated cookware. Here are some factors to consider when choosing between anodized and Teflon cookware. Teflon is the brand name for a polytetrafluoroethlyene fluoropolymer used to coat some non-stick pans. It is manufactured by Dupont. Anodization occurs when a metal, such as aluminum, is placed in a bath containing electrolytes, and an electrical current is run through the bath. A thick, protective layer forms on top of the aluminum, making it resistant to corrosion and rust. Both anodized cookware and Telfon-coated cookware allow cooks to use less fat, when cooking, as they are non-stick. They both cost less than other types of cookware, such as stainless steel and enameled cast iron. In 2006, many people discarded their Teflon-coated pans due to concerns that the coating released dangerous fumes when heated beyond 680 degrees Fahrenheit. However, if a cook is careful, their cookware will never reach that high a temperature. Never use metal utensils in Teflon-coated cookware as they scratch the coating off. Only use the cookware over low or medium heat. Wash the pan in soapy water using a sponge or dishrag. Anodized aluminum is scratch-resistant, so blunt metal utensils may be used on it. Anodized cookware retains heat well, so only low or medium heat is needed. Wash in soapy water.